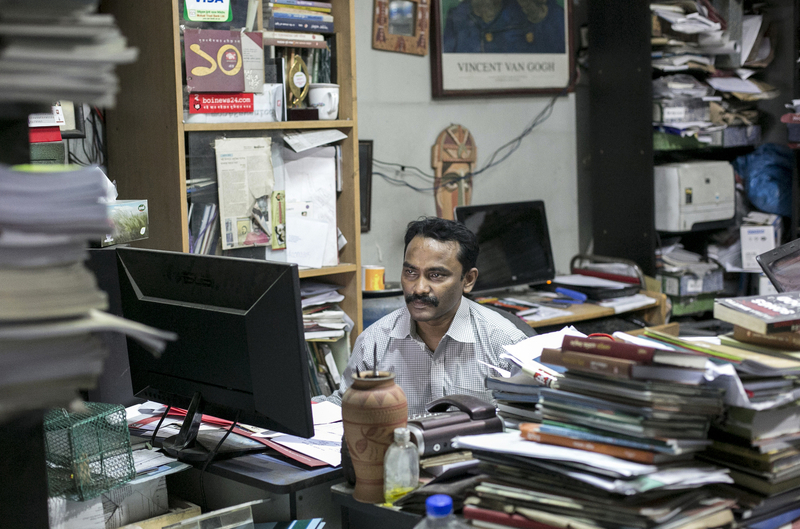 Liberal publisher Robin Ahasan works in his office in Dhaka, Bangladesh. Ahasan has been threatened three times for his work, once received a white burial shroud in the mail, and other times receiving letters addressed to the "Enemy of Islam" that read "Your reward for publishing this material is death, and we shall deliver it at anytime". The police gave him a bodyguard for a short time but now he tries to protect himself by varying his routine. He says that "They can get me anytime or anywhere, there is no point in stopping my life and work over these threats".